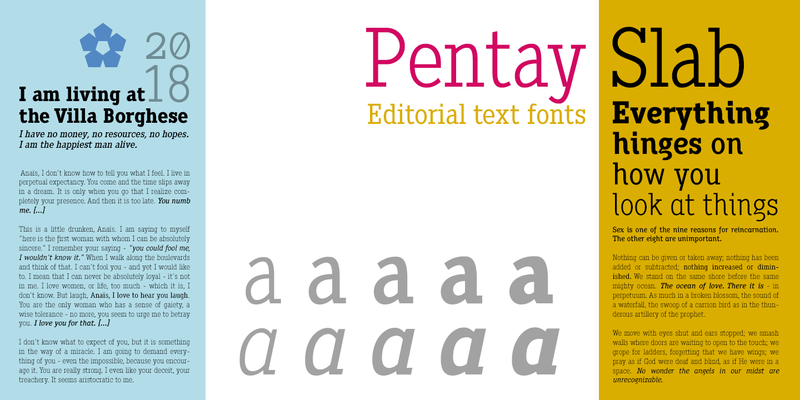 Pentay is a Slab Serif typeface family with 10 styles designed especially for editorial design and publications in general. The proportions of the font as well as the metrics and the kerning have been carefully calculated to obtain maximum readability. 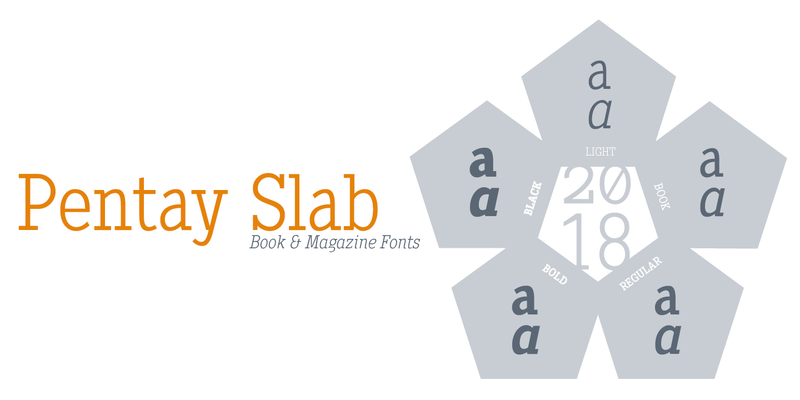 The fonts also have a complete set of lowercase alternatives and advanced OpenType features. 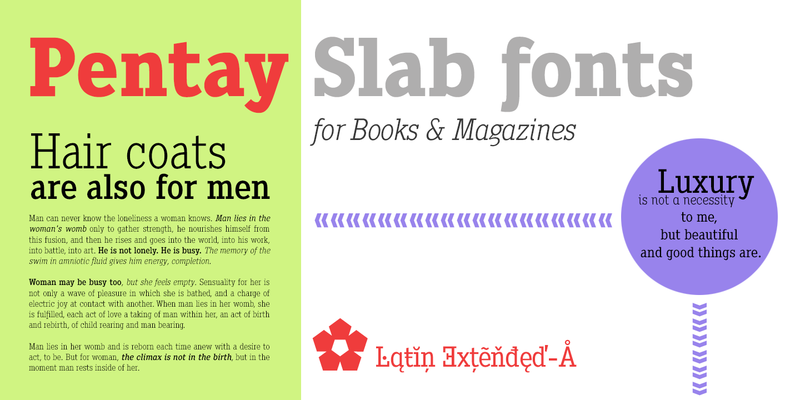 A font family published by defharo on Sunday, March 18th, 2018 that has 1,060 views so far.